Moby has compared the “warmth” music lovers get from vinyl to the instinctive bond between parent and child. The electronic music veteran was today part of a panel discussion on Facebook Live alongside Jean-Michel Jarre, Julia Holter, Little Boots and Hans Zimmer. 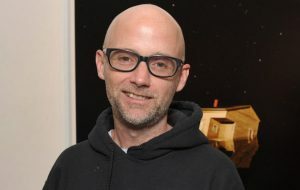 During the discussion, the panel described how music sounds better on vinyl than on other formats, with Moby proposing a theory. The post Moby compares ‘warmth’ of vinyl to mother-child bond appeared first on NME.